Water Softener / Water Conditioner | Rent or buy water softeners, whole house filtration systems, reverse osmosis water systems or alkaline reverse osmosis water systems. 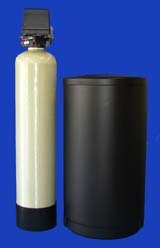 A water softener and a water conditioner treat the water to the whole house. Water treatment is necessary to make home water smell, feel and taste better. 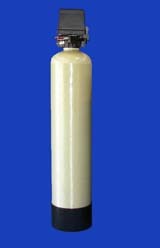 A water softener removes calcium and magnesium to make the water soft. A water conditioner removes rust, algae and chlorine. plus tax for standard installations. First 2 months free to new rental customers. A water softener can remove the mineral build up on your fixtures and appliances. Your dishes will come out of the dishwasher so clean that they will look new. When you dry your face off with a towel, the towel will feel soft and luxurious instead of stiff and scratchy. A water conditioner will remove the chlorine from the water and purify it by 50%. A lot of people have skin that is sensitive to chlorine. To those people, bathing in chlorine free water and drying off with a chlorine free towel, can relieve dry itchy skin. Water Pro provides water softener service in Ventura, Oxnard, Camarillo, Port Hueneme and Santa Paula. Water Pro provides Reverse Osmosis Systems, Alkaline Reverse Osmosis Systems, Whole House Systems and Water Softener Systems for rent or purchase for customers in the cities listed below.